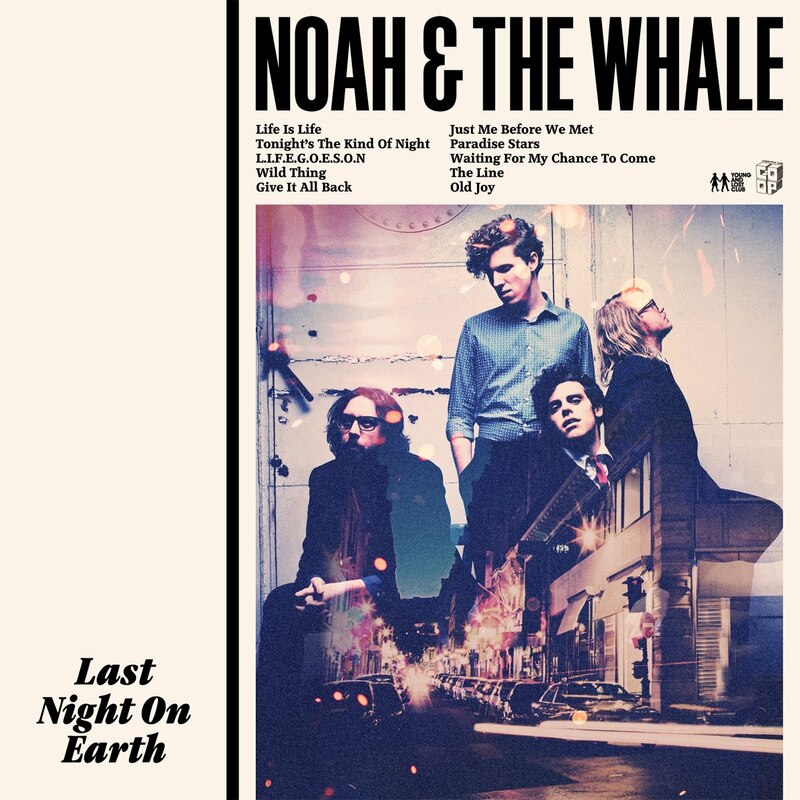 The Musicians of Noah And The Whale once started out as an indie folk band. With their second album The First Days Of Spring, that was received with mostly positive reviews, their music already shifted towards indie rock. They took a different turn at that time and they have continued this on this third album. The quartet from the UK isn't afraid to use all kinds of electronics with it. This is clear right from the start of Last Night On Earth, when the pretty cheap drum computer sound and synthesizers kick off the album. Fortunately on the rest of the album the electronics are used more tastefully. The result is a variety in songs and nice arrangements. It all sounds a bit bigger, but they mostly don't take it too far. It also leads to interesting creations. For example 'Give It All Back' has a catchy tune that sounds like the ring tone of a cell phone. This is working great resulting in a happy song. First single 'L.I.F.E.G.O.E.S.O.N.' is a mix of 'Lola' by The Kinks, 'Love Of The Common People' by Paul Young with a splash of Lou Reed's 'Walk On The Wild Side'. The chorus that spells out the letters of the title sticks to your head for the rest of the day. The album title also comes from this song: "On my last night on earth, I won't look to the sky". The comparison with Lou Reed isn't coincidental because singer Charlie Fink sounds a lot like the former The Velvet Underground front man, like in 'Wild Thing'. He also got inspiration by Reed's Berlin for this album. Other times his voice sounds a bit more thin, especially in the more intimate and melancholic songs. Despite this melancholy the album is pretty optimistic that breaths hope. But the lyrics aren't always on the same level. Fink is a pretty good lyricist and story teller and proves it once more, but still it isn't that comprehensive all the time. For the rest there aren't too many weak spots in this album. 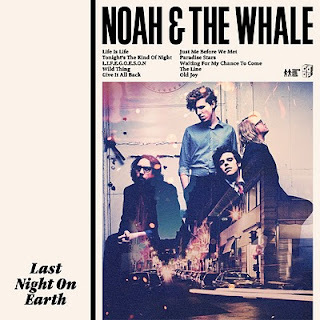 All in all Noah And The Whale made another step forward and prove it with this mature album.